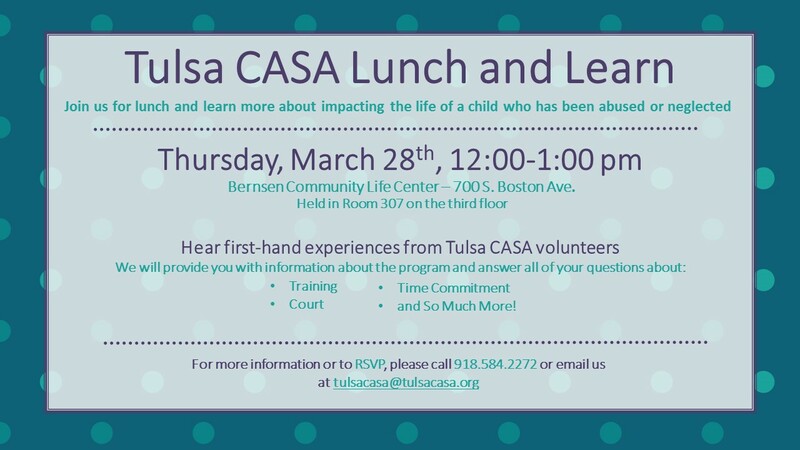 Come and spend your lunch break learning more about how CASA volunteers advocate for children in foster care and the steps you can take to get involved! Our next Lunch and Learn will be held on March 28th, 2019. Call the office, email us, or RSVP through our Facebook page to save your spot! Please check our website calendar for more Lunch and Learn dates in 2019.